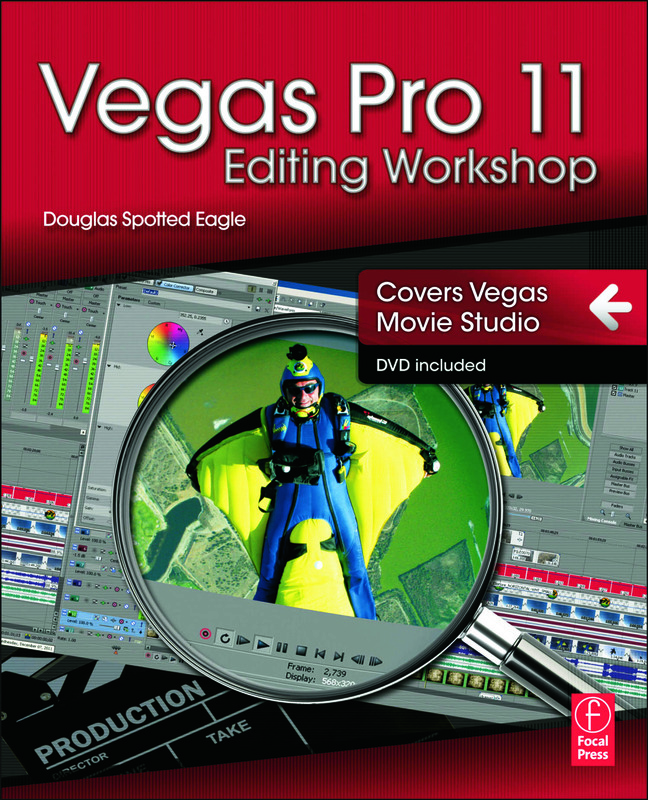 Go beyond the mechanics of Vegas 11 with award-winning Vegas guru Douglas Spotted Eagle as he guides you through an industry-tested professional editing workflow. Packed with hands-on tutorials, this edition covers a complete range of essential tasks from installing the application to final output, allowing you to gain practical knowledge regardless of your editing experience. Vegas Movie Studio is also fully covered alongside Vegas 11, showing what you can accomplish in both programs. Bonus materials on the DVD include training tutorials, raw video footage, project files, and detailed instructions, enabling you to gain a working knowledge of Vegas, including its compositing, audio features, and robust 3D workflow. Douglas Spotted Eagle is a recognized world leader in the Vegas product knowledgebase. He has authored numerous articles for Vegas and its sister applications. He also hosts two web sites for users of Vegas and related products and contributes to Videography, Studio, Parachutist, and Worship Video among other publications.